One of my best friends, Diana, is a big fan of the Food52.com blog. She has won several times on this site with her outstanding homemade recipes. She told me about a chocolate cake on Food52 that was really awesome and very simple to make. 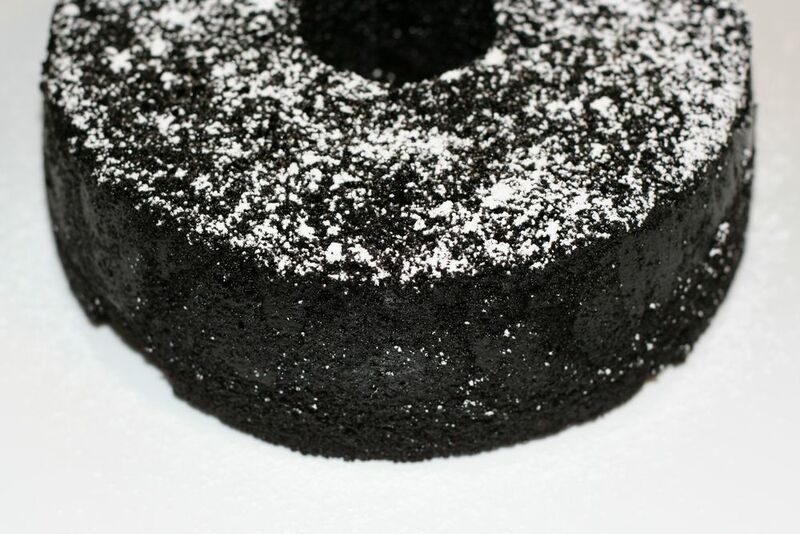 This recipe had won the best overall chocolate cake recipe a few months ago by KelseyTheNaptimeChef so it had to be good. I decided to make this seemingly, simple cake for our friends who were in Madison for the Zebrafish meeting (don't ask...just a scientific meeting for those who work on zebrafish). I made few changes to the recipe to kick it up a few notches by using espresso powder and Hershey's Special Dark cocoa powder which makes the cake crumb look like rich dirt (without the worms). You can frost this cake but I suggest you serve with some fresh whipped cream on the side. It is so rich it really doesn't need any frosting. And Wow! Days later still moist! I highly recommend this cake! It is on my top 5 chocolate cakes list now! Preheat oven to 350F. Spray bundt pan with Pam Baking Spray and dust the inside with cocoa powder. Sift together sugar, flour, cocoa powder, salt, baking powder and baking soda in a bowl. Set aside. Lightly boil the water and add the 2 TBSP of espresso powder. Cool. In a mixer on low add the buttermilk, vegetable oil, eggs and vanilla one at a time. mix until everything is incorporated. Add the cooled espresso water mix. Then, with the mixer still on low speed, slowly add in the dry ingredients. Once all of the flour mixture is added, mix the batter for a full four minutes on medium speed. Place the bundt pan on a cookie sheet so the batter doesn't drip to the bottom of your over. Then, pour the batter into the bundt pan and bake for 45 minutes, or until a cake tester comes out clean. Allow to cool to room temperature on a wire rack. Then, dust with powdered sugar and serve. I also added some small sugar pearls to the top since I had them. The eagle recovers around a mark!